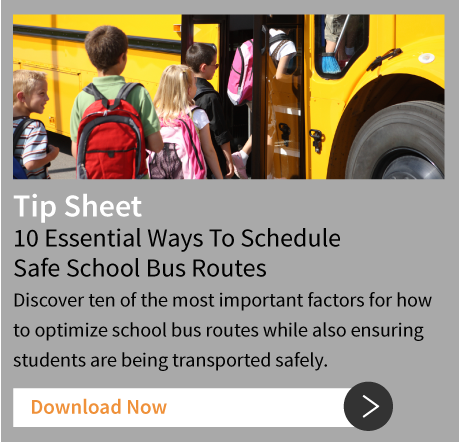 BusBoss™ Enterprise includes all of the features and functionality of BusBoss™ Professional bus routing software, with the addition of an integrated GPS tracking system to know the exact whereabouts of all of your school buses. There are times when a driver may deviate from his or her expected route, and for good reason. There could be traffic conditions that cause a delay, such as roadblocks or accidents. By taking a slightly altered route, the driver is able to deliver your students to school on time. In situations like these, you may use the collected GPS tracking system data from the bus to recreate your route with BusBoss routing software, so that it matches the route the driver is actually taking. There may be occasions where you have a bus driver making unauthorized stops or exceeding the posted speed limit. With BusBoss Enterprise, your transportation routing software alerts you to this type of situation, so you are able to act swiftly and take appropriate measures. Your school bus routing software may be set up to send Facebook and Twitter posts when buses are running late. Students, parents and staff who are following these accounts then receive automatic updates should a bus be in an accident, running late or broken down. Students, parents and school staff may also be sent emails or text messages with the estimated time of arrival of the vehicle assigned to the route. If a bus is habitually late to school, BusBoss Enterprise routing software notifies you and allows you to adjust the route so that the bus arrives at the required time. Sometimes this is a simple adjustment to the start time, and other times you may need to adjust stops on the bus route. In either case, BusBoss Enterprise helps you notice the situation before it becomes a problem. BusBoss Enterprise helps protect your drivers when parents call in with concerns or complaints. Often, the complaint is that a bus driver never stopped to pick up a child. BusBoss Enterprise bus routing software allows you to view the route in real-time and see where the bus stopped and for how long. There may also be occasions where a parent calls with concerns that a bus driver is speeding. BusBoss Enterprise allows you to view speed information, so you know if the driver was actually speeding or not. BusBoss Enterprise is all about gaining total insight into the exact location of your buses and helping you make well-informed decisions to quickly resolve issues. 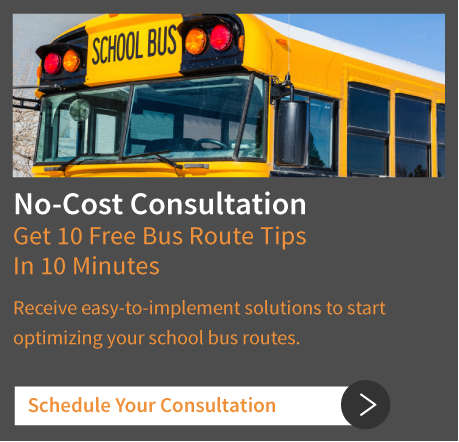 With BusBoss Enterprise bus routing software, when a parent or school staff member calls you with questions, you always have answers.